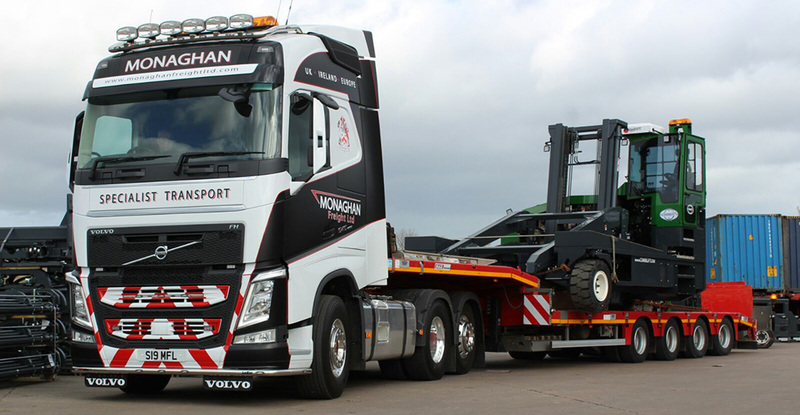 Monaghan Freight Ltd are specialists in the transport of machinery, abnormal loads and oversized cargo in the UK, Ireland and Europe. Between our own fleet and our service partners we have access to every kind of trailer available, from multi axle semi-trailers and low beds to extendable flat trailers and Curtain sided Euro liners, we most certainly have the equipment to accommodate your job. 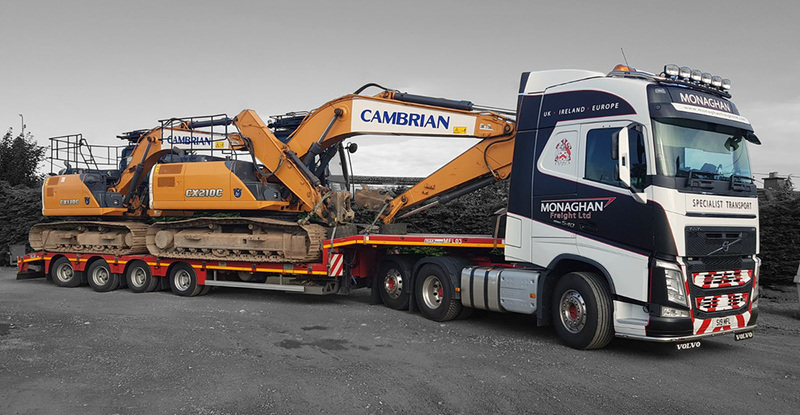 We operate from Northern Ireland, but have strong transport routes with the UK mainland and Europe. We have trucks and trailers available in the UK, Ireland and Europe on a daily basis. Do you require Specialist Transport for the UK, Ireland and Europe? Whether your goods are big or small, Contact Us and fill out all the details on the form regarding where and when you require Transport for, we will aim to get back to you very quickly…..